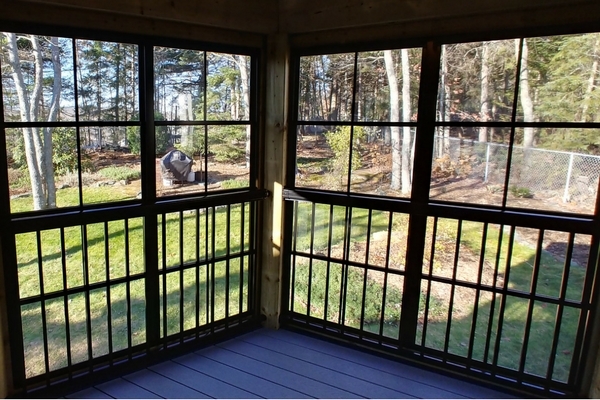 Trex Pebble grey picture framed with a stunning Winchester grey composite left this outdoor living space legendary. 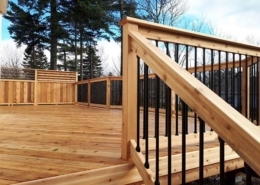 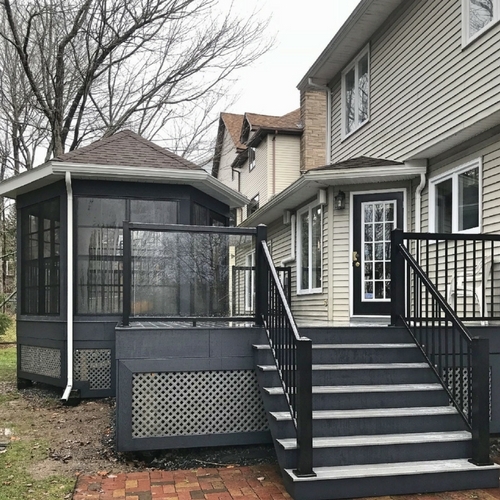 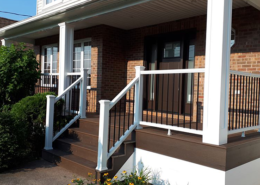 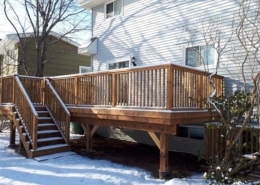 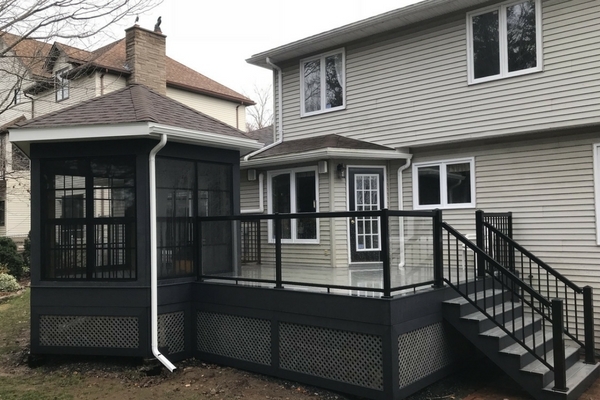 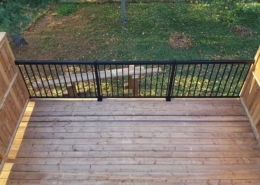 A black Regal Railing Glass System accessorized the deck and this breathtaking gazebo provided a place for the family to enjoy the days and evenings with shelter. 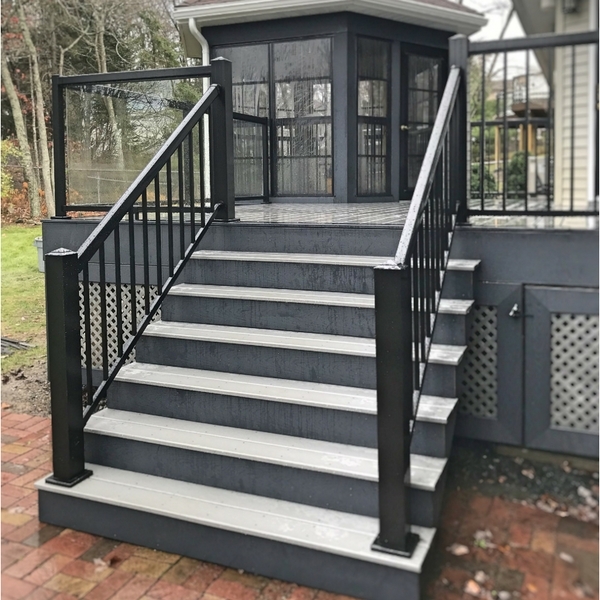 This unique gazebo was designed with vinyl sliders and framed with black trim to match the railing system. 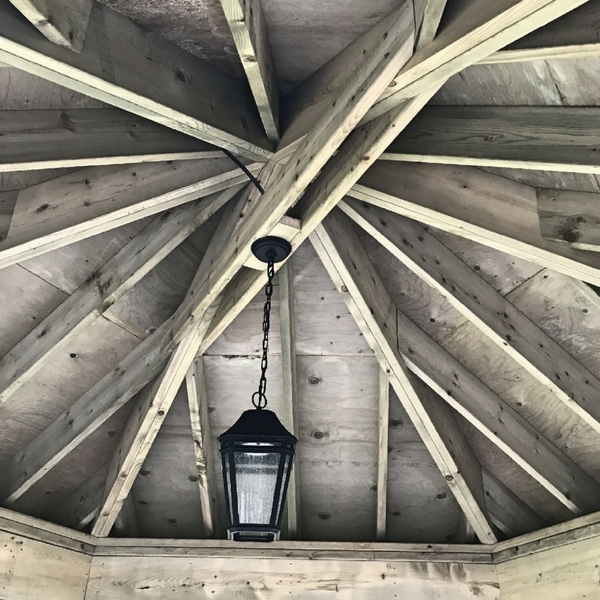 Exposed wood framing was used for walls and ceiling providing a natural look, ancient and rugged. 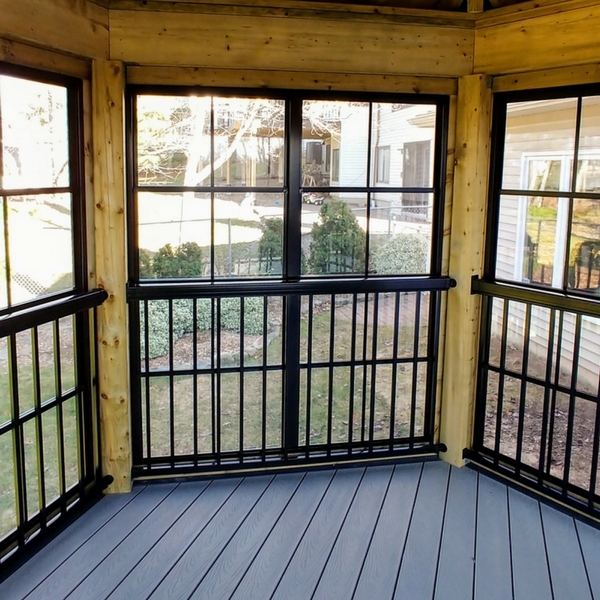 For those late nights, this gazebo comes with electricity to keep the evenings bright with memories.